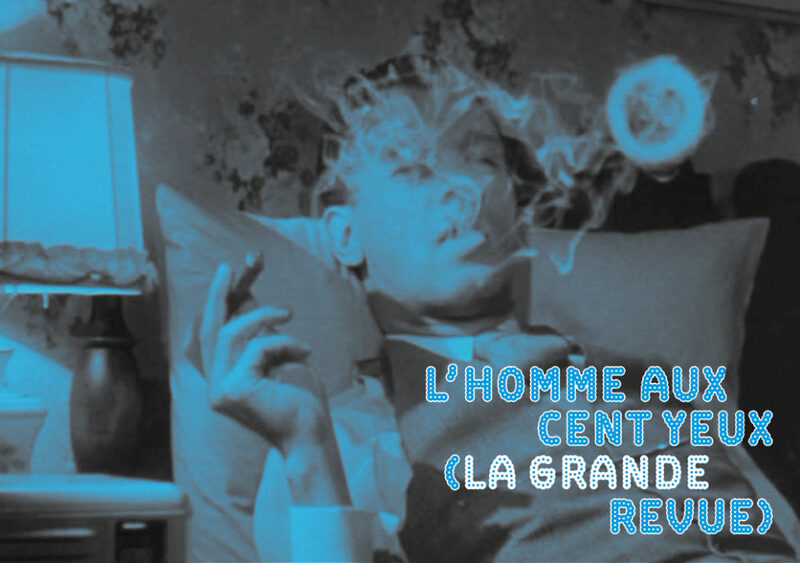 The “revue” (show) L’Homme aux cent yeux – in a nod to its glorious ancestors of the 30s and to the spirit of the Music Hall – proposes an annual programme of live interventions, open to all kinds of artistic creation (acoustic, filmic, choreographic, etc. ), by artists invited to occupy the exhibition spaces in two phases. All the artists invited for the previous episodes of L’Homme aux cent yeux* (revue) gather in the empty spaces of the plateau – in between exhibitions – and propose a follow-up to their first intervention for a new happening, acme of the events programme.